Gayle Yanke Ice has a birthday today. 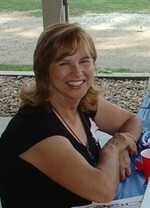 Gayle Yanke Ice added a comment on her Profile. Gayle Yanke Ice posted a message. Just wat to wish you a very Happy Birthday!!!! Those birthdays aren't some funa anymore. I just don't count!! We are moving this weekend to a new house in Florida. We are here during the winters. Ohio is just too cold. We are still there because of grandchildren. Enjoying them very much. We have a seven year old girl and and three year old girl and a 20 month old boy. Lots of fun. My daughter and her family are down for Thanksgiving. I know they want to get out of that cold weather. It has been terrible there already. What have ykou and Rick been up too? Write when you have a chance and I will get back to you after our move. I am kinda crazy right now. Too old for all this!!! !